The BSA's highest award was originally conceived of as the Wolf Scout, as shown in the June 1911 Official Handbook for Boys. The August 1911 handbook subsequently changed this to Eagle Scout. The medal illustrated in the handbook was a profile of an eagle in flight, but was changed to the current design before any were issued. In their original conceptions, Life Scout, Star Scout (Life preceded Star until 1924) and Eagle Scout were not ranks, but part of the merit badge system that recognized Scouts who had earned a number of merit badges. 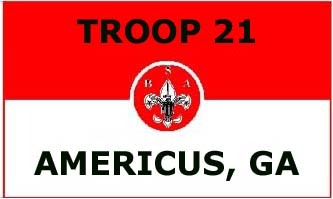 The rank of Eagle Scout was awarded to any First Class Scout who had earned twenty-one merit badges. Consequently, eight of the first nine Eagle Scouts did not earn the ranks of Life or Star. Since its introduction in 1912, the Eagle Scout medal has undergone several design changes. Changes to the scroll and to the eagle pendant were not always introduced at the same time, therefore types may be somewhat mixed. Scouting historians classify these medals by the five different manufacturers and then by 17 sub-types, with several minor variations. Many variations were caused by quality control issues, mainly due to wear of the dies. During the 1920s and 1930s, some military schools allowed wear of the Eagle Scout medal on the uniform. In order to conform to the medal system, the scroll was removed and the ribbon affixed to a standard ribbon bar. T. H. Foley made the first medals from 1912 until they went out of business in 1915. The eagle pendant and scroll were of die struck bronze washed with silver. Early versions were made with a short double knot and later ones with a long double knot. Only 338 of these medals were issued, making them the rarest version. (In 2006 a Foley medal sold for over $13,000 on Ebay). Some Foleys were issued with a drop ribbon ?the ribbon was extended, folded through the bar mount on the scroll, then dropped behind the eagle pendant and cut in a swallowtail. The first drop ribbon style medal was issued to the fourth Eagle Scout ?Sidney Clapp, a 31-year-old scoutmaster from West Shokan, New York (prior to 1952 adults could earn the Eagle rank). Dieges & Clust took over production from 1916 to 1920, basing the design on the Foley. These medals also have the distinguishing extra-long double knot hanging from the scroll. There were 1,640 of this variety awarded, all made of sterling silver. In 1920, the Robbins Company took over production. They produced six distinct variants, all in sterling silver. The first 1920 version was similar to the Dieges & Clust design, but with smaller scroll lettering and the standard single knot. The second 1920 version has more distinctive feathering on the back side of the pendant. The engraving on the 1930 version is especially fine. In 1933, BSA was removed from all of the Eagle Scout insignia, including the medal. In 1955 the obverse of the eagle pendant was made flat so it could be engraved. BSA was added back to the front and the obverse was returned to a full feathered design in 1969. In the fall of 2006, the national supply division of the National Eagle Scout Association began to issue replica Eagle Scout medals for specific wear on U.S. military dress uniforms. These medals are designed to be proportionate to other military medals: they contain the same pendant, but no scroll, and a ribbon that has been made thinner and more rectangular in shape. At right is the original Eagle medal as conceived in the 1911 handbook. None were ever made with the flying eagle. Digital LCD Laser laser distance measurer Distance Meter Range Finder Measure laser measure Tape Tool,Quick measurement of distance, area and tape measure uk volume with one button operation,Indirect measurement with Pythagorean theorem,Easy addition/subtraction of laser tape measure measurement. The first Eagle Scout medal was awarded in 1912 to Arthur Rose Eldred, a seventeen-year-old member of Troop 1 in Rockville Centre, Long Island, New York. Eldred was notified that he was to be awarded the rank of Eagle Scout in a letter from Chief Scout Executive James West, dated August 21, 1912. The design of the Eagle Scout medal had not been finalized by the National Council, so the medal was not awarded until Labor Day, September 2, 1912. Eldred was the first of three generations of Eagle Scouts; his son and grandson hold the rank as well. Since then, more than one and a half million Scouts have earned the rank. In 1982, thirteen-year-old Alexander Holsinger, of Normal, Illinois, was recognized as the one millionth Eagle Scout. In 2002, 49,328 Scouts attained the Eagle Scout rank, more than in any other year. A total of 1,835,410 Scouts have earned Eagle Scout as of the end of 2005.